Dr. Romesh P. Nalliah is a health services researcher and his focus is process improvement and optimizing resource utilization in healthcare. 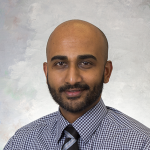 Dr. Nalliah has published close to 100 papers in peer-reviewed journals on public health topics as diverse as firearm injuries, motor vehicle accidents, child abuse, ER utilization for dental problems, and sports injuries. Dr. Nalliah is a practicing dentist and his career began in Australia delivering care in a rural hospital which was the gateway to the Outback. This experience included using a mobile dental van to deliver care to rural-dwelling Aboriginal Australians. After eight years practicing dentistry full-time (with half a day of teaching per week) Dr. Nalliah was hired as faculty at Harvard University’s School of Dental Medicine in 2008. At Harvard, Dr. Nalliah developed expertise in health services research, curriculum management, and leadership. Dr. Nalliah also completed a Fellowship in Medical Education at Harvard Medical School and a Masters in Healthcare Management at Harvard School of Public Health. In 2015, Dr. Nalliah was hired as the Director for Clinical Education at University of Michigan School of Dentistry. In this role, he serves as clinical operations lead for the DDS program. The Dental program involves 367 student providers and 100,000 patient encounters per year. Dr. Nalliah remains Adjunct Faculty at Harvard University and continues to lecture on issues relevant to public health. Dr. Nalliah has led over 50 major community service projects – often translating what he has learned in research to practice. These projects have collectively provided close to 2,000 oral cancer screenings and donated $202,215 of free dental services and products to underserved communities to date. Dr. Nalliah’s innovative leadership has resulted in the formation of two free clinics in Massachusetts (one for homeless individuals and one for individuals with special needs). He also served as State Dental Director for Special Olympics of Massachusetts. Dr. Nalliah has been invited to present at several national and international conferences in fields of Medicine, Dentistry and Public Health. He has significant experience mentoring students in research and his students have won several national awards. Dr. Nalliah has also received awards for his research from the Society of Critical Care Medicine (twice), International Medical Education Conference, the Harold Amos Award from Harvard Medical School, the Junior Distinguished Faculty Award and the Annual Award for Teaching Excellence from Harvard School of Dental Medicine.